Ask the Experts! Have your questions about Fireplace Screens answered! 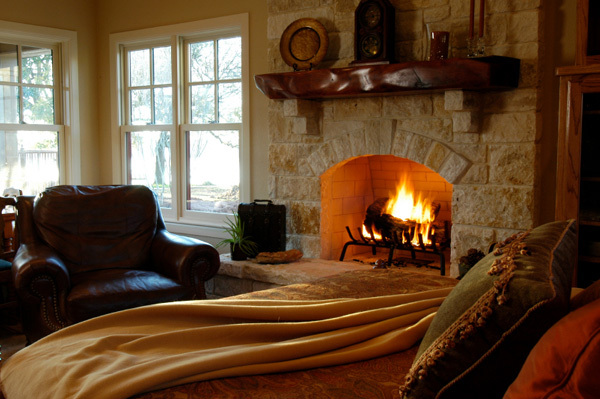 Call 1-800-377-4231 or email info@ironforge.com for a chat about your fireplace. Opening times: 10am to 5pm PST. If we're busy, leave a brief message and we'll get back to you at least by the same day! Order before Thanksgiving and SAVE! Watch this introductory video on how our ordering system works! A beautiful firescreen transforms any room and opens up a new realm of hospitality that is only possible with a real fire. Imagine sitting around a crackling fire telling stories and entertaining your friends and family. Iron fireplace screens have been a part of the tools of hospitality from time immemorial, and all levels of society in all cultures have this same desire for warm hospitality in common. Unfortunately many fireplaces are difficult to tend, with noisy and stiff glass doors and curtain mesh that always seems to stick, making your hands dirty with soot as you grapple them open! Some fire place screens are simply an embarrassment to show your guests. At ironforge we will provide you with fireplace screen doors and decorative fire place screens that are hand crafted in the age-old manner; fired in the forge and shaped on the anvil with hammers. Our custom fireplace screen-doors are functional works of art that make tending the fire a joy rather than a dirty and difficult experience. What's more, they add value to your home! So go on, make your house a home where hospitality reigns! Ironforge fire place screen doors instantly create a focus of hospitality. They create a romantic atmosphere in any room of your home! You can be proud to entertain family and friends in front of your hand-forged firescreen doors! 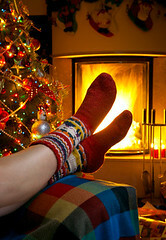 Make those moments around the fireplace with family and friends unforgettable memories! Ironforge firescreens are custom made functional works of art and as such are great conversation pieces. Our fireplace fire screens increase the value of and keep your home safe. Helpful information about ironwork and it's components for you to consider before buying. "The blows of the great hammers shake the walls of their houses and disturb the rest of them and their servants, day and night, and spoil the wine and ale in their cellar, and the stench of smoke from the sea-coal used in the forge penetrates their hall and chambers." Thankfully the zoning laws now prevent this happening to you, but the basics of ironwork haven't changed that much since King Henry VIII squeezed himself into his suit of armour. Small workshops still heat individual pieces of metal in furnaces until they are malleable enough to be beaten into shape on the anvil and then bent in a form. New technology has changed the speed, flexibility and possibilities of iron design, especially with production work. With hand forged ironwork each artisan still creates his work with an individual style which may not be immediately apparent to the casual eye but is nevertheless an inherent part of the beauty of hand made creations. Modern Architectural Ironwork is often perceived as the finishing touches to a building and its budget. The latter is often near its limit when ironwork is being considered. There is no doubt that ironwork, like any hand made item can get expensive. However, properly executed and positioned ironwork can add many times more than it's cost to a property, and as such should be considered an appropriate investment. In the early 1900's Los Angeles witnessed a revival of Spanish colonial design incorporating authentic metalwork . Today houses of quality incorporating authentic ironwork, especially from this era are sought after and often mimicked; indeed ironwork of all periods is now greatly appreciated not only for it's artistic merits but also for it's value-adding potential. Practically all building materials are either cast or carved; iron alone is heated in a furnace and wrought on an anvil. The natural inclination with a project involving metal is to design it with the tools you are most familiar with and simply signify 'wrought iron' as the material. However, one should not expect a blacksmith to fabricate in iron what a wood carver could make in wood or a foundry to cast in iron or bronze. It helps to be aware of the process; for instance the difference between wrought, forged and cast iron. 'Wrought' is iron bent in a form. 'Forged' means hammered and shaped on an anvil when hot, usually prior to being wrought or added to a wrought design. 'Cast iron' is heated iron poured hot into a mold and then included in a design. Cast iron has the benefit of mass production. Once the mold is made, which may be very intricate, many copies can be produced (in either iron, aluminum, or even plastic!) for reasonable cost. Consequently a design may look very intricate, it may be made of iron, but it is not hand-forged wrought iron which would take considerably more time to fabricate. Each type of iron has its own design quality, yet may be combined effectively. Cast iron elements used sparingly to accentuate a wrought design can be very appealing. As with any design choice it helps enormously to have clearly defined parameters for your project. Knowing examples of styles and techniques which you like and dislike will greatly aid your interaction with us as your designer and blacksmith. Send any design idea's, sketches and photo's so that we can match your expectations with a hand forged piece of functional art which fits your taste and decor. It is sometimes possible to incorporate a design element from a piece of furniture or moulding in your room into our design; any tie-in helps give your room that feeling of care and attention to detail that elevates it from the neighborhood.It is very helpful to see a photo of the room, any design element that you would like carried through and the fireplace that you are working on so that we can advise you better. Please send your photos(One of the room in general, and/or design item and three or four of the fire place; one wide and two in close-up showing the sides) in as large a size as you like so that we can zoom in and see details. Afterwards, sit back and see what we have instore for you! We enjoy our interaction with our clients and look forward to making your hearth the center of your hospitality and a showcase for our craftsmanship! Listen to this clients reaction:Watch the transformation in this Fireplace Fire Screen makeover! We are proud of our ironwork that will enhance your home for generations to come. Please browse our designs and send us an email with your questions. Don't forget, we can custom make any design you might imagine, and we work extensively with Designers. View our latest Firescreen makeover video clips!